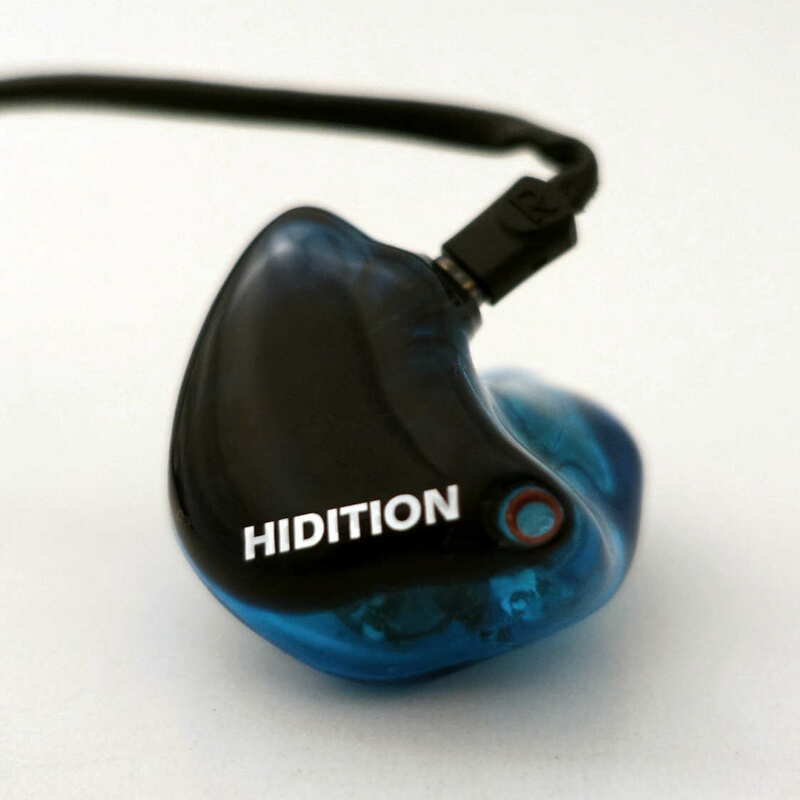 Hidition is a Korean based custom in-ear monitor manufacturer with a decent size lineup, with two of the products previously reviewed, the NT-6 and NT-6 Pro (NT stands for New Tears). The owner of Hidition, Sung ByeoungHa, is very friendly and enjoys meeting audiophiles that can visit Hidition. He will happily let visitors audition his various models, and has been known to hire translators for certain pre-arranged meetings. The previous products have exhibited excellent detail, resolution, and overall performance with a brighter, more analytical sound signature that retains musicality. The NT-6 is well suited for studio work as it is quite neutral and the NT-6 Pro’s enhancement on the extremes of both ends of the spectrum makes for a more fun albeit colored performance. 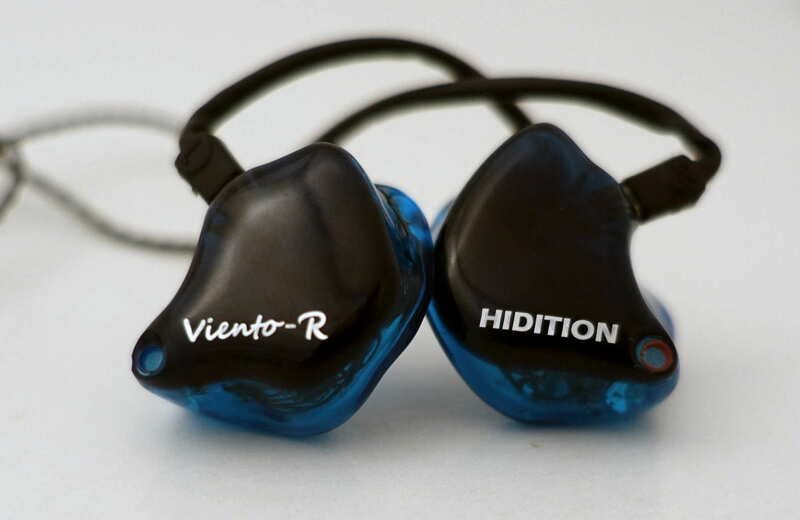 The latest product, the Hidition Viento-R offers switches to change the tone by changing the prominence of the bass and/or midrange. The R stands for Reference, and given the Hidition pedigree, the name seems fitting. Why sound tuning on a reference monitor? Possibly to adjust for equipment, preference, or environment, and when have a group of people agreed on what is truly “reference” when given multiple options to choose from? Using a lower driver count of four vs. six for the two flagships, can the Viento-R keep up? We shall find out! A special thank you to Sung ByeoungHa of Hidition for providing the review sample. 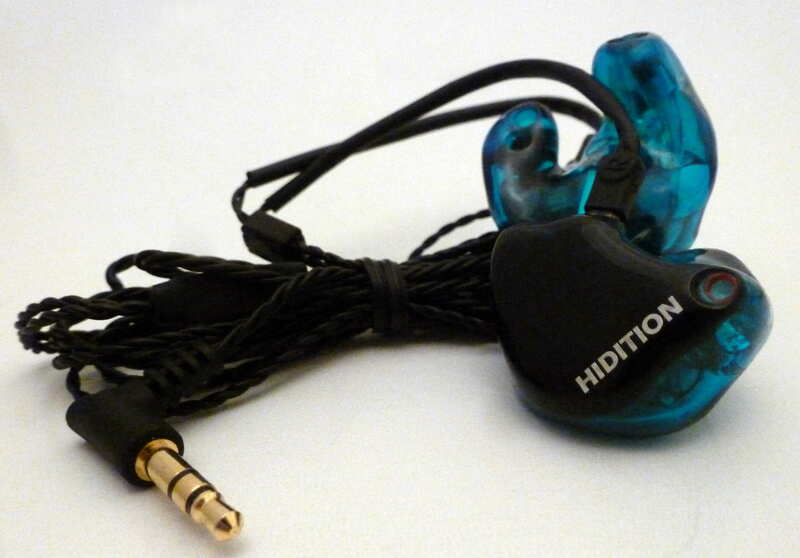 The Hidition Viento-R cost 1,100,000 won plus VAT in Korea and $1100 internationally. You can change the language from Korean to English at the bottom left of each page, although not every page translates well. International ordering is done through the www.hidition.co.kr website, selecting your items, then selecting buy from the product page. Options: Selected on the product page. There are some awesome artwork options, which you can see at the gallery, although they look better in person than in the images. The Viento-R is an acrylic shelled custom in-ear monitor utilizing 4 balanced armature drivers with a vent in the shell and utilizing 3 sound tubes, two of which open into a recessed chamber. The cable is detachable, with a slightly protruding socket. There are two switches on the inside of each shell to adjust the tuning, with one switch for bass and one for the midrange. 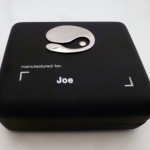 They can be changed with a small object, such as the metal end of a cleaning tool or a very small screwdriver. The Viento-R uses two switches per channel, with one for changing the bass quantity to be adjusted and the other to change the midrange presentation. 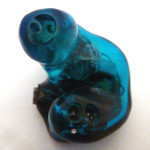 The switches are inside the shell and are quite small. 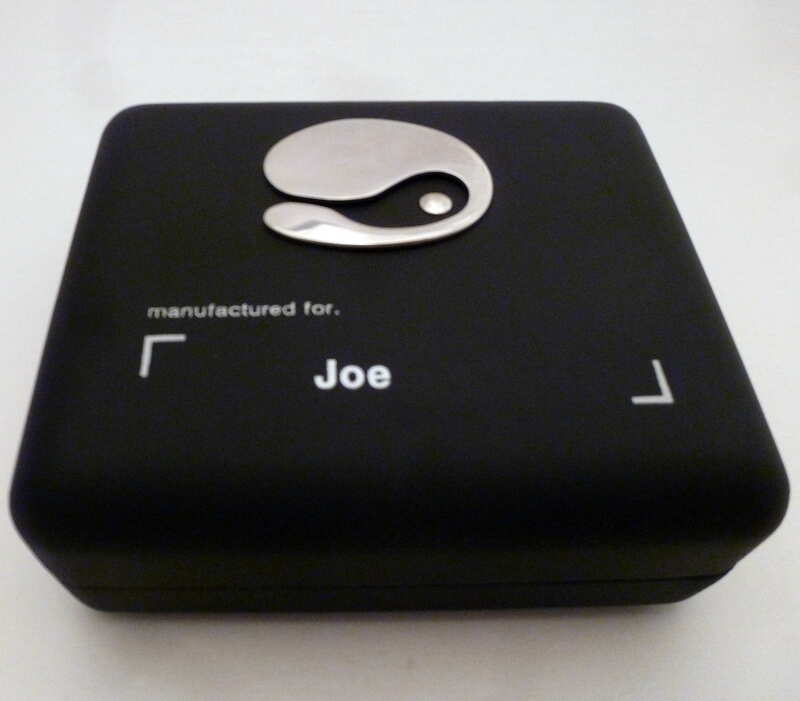 It is relatively easy to change them with the metal loop side of a cleaning tool. 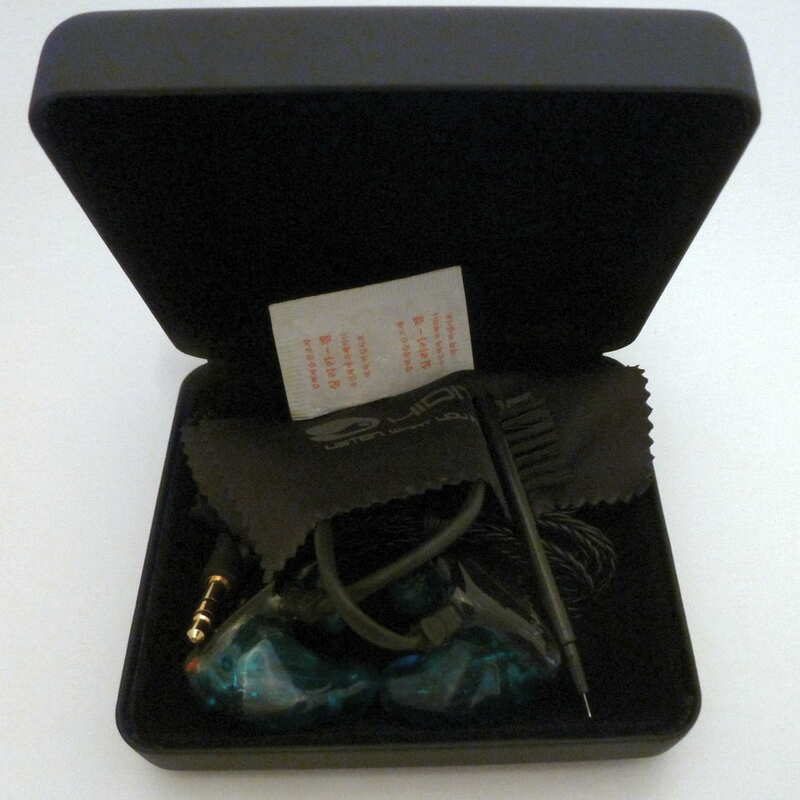 I also used the screwdriver that came with the EarSonics Velvet, and while it worked, it wasn’t quite as easy as the loop on the cleaning tool since the switches are very small and the screwdriver was much larger than the switches. The Hidition Viento-Reference received 100+ hours of burn in as is customary before I do my serious listening. 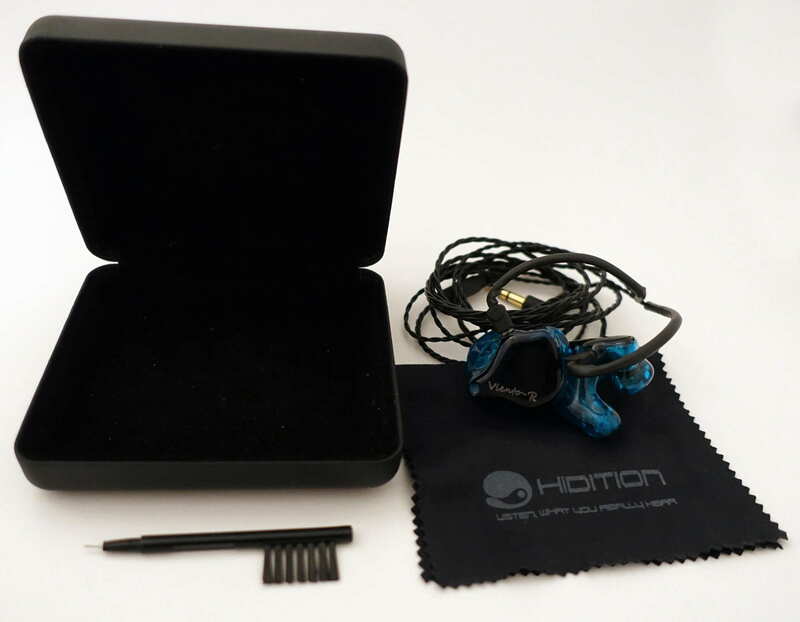 The following custom IEMs were used for comparison: Hidition NT-6, Hidition NT-6 Pro, Custom Art Harmony 8 Pro, Spiral Ear SE 5-way Reference, Lear LCM BD4.2, Rhines Custom Monitors Stage 3, Ultimate Ears In-Ear Reference Monitors, EarSonics EM32, and EarWerkz Legend (see page 2 for detailed comparisons). Bass: The bass of the Viento-R has two settings: neutral and boosted. With either setting, the bass is tight, deep, well controlled, and textured. The quantity with the switch off is similar to the NT-6’s neutral presentation, with plenty of authority and emotion but with slightly less deep bass reverberation. Changing the switch to the up position adds a subtle but noticeable boost from mid-bass on down resulting in a warmer sound than both the NT-6 and NT-6 Pro, but with less deep bass emphasis than the NT-6 Pro. While the bass quantity increases, the reverberation remains constant. Integration of the bass with the midrange is exceptional regardless of the switch position, and the overall feel is fast, accurate, and detailed but never too prominent. Midrange: The midrange is very neutral and balanced both in frequency response and presentation perspective. Changing the switch to boost the midrange results in a more forward midrange that switches the relatively spacious “reference” style sound and a more mid-forward presentation while keeping the tonality. 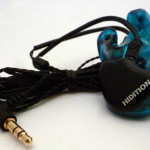 The midrange is crisp and clear, with excellent resolution and focus within the soundstage for a very precise feel that can leave other CIEMs sounding a bit muddy. While there is plenty of detail that is well articulated, the details are presented in a very natural way that isn’t as analytical as the slightly more detailed NT-6 and NT-6 Pro. 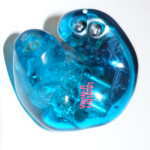 The Spiral Ear SE5 is less articulated and warmer while the Custom Art Harmony 8 Pro is not as smooth and refined. Imaging is excellent and coherence across the soundstage is the best I have heard, in part accentuated by the exceptional focus. Tone of both male and female vocals sounds spot-on in most comparisons and improves upon the NT-6 and NT-6 Pro due to less upper midrange presence and a longer note decay. Overall, the midrange is exceptional and is among the best I have heard. Treble: The treble of the Viento-R is on the brighter side of neutral, but not by too much. 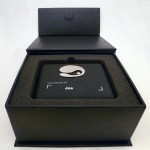 The notes are natural and smooth yet still detailed for an overall exceptional performance unmatched by other “brighter” CIEMs and only bested by CIEMs that are on the warmer side including the Spiral Ear SE 5-way Reference, Fit Ear PS-5, and The Lear LCM BD4.2, which is closest in brightness. Notes are smoother and more natural than the NT-6 and NT-6 Pro but give up a slight bit of detail in the process. Presentation: The Viento-R shares a similar soundstage presentation to the NT-6 and NT-6 Pro, but the vented design results in a spaciousness the others don’t have. The standout of the VR is the focus within the soundstage and soundstage coherence across it, which is the best I have heard, leading to an exceptionally clear presentation without being as analytical as the NT-6 and NT-6 Pro. Spatially, the presentation size of the VR is good, but about on par with the other Hiditions. While the other Hiditions focus more on individual instruments, the VR provides a bit better balance between instrument and overall presentation. Note capability is superior with the ability to adjust to the average ADSR recorded in different masters while retaining a natural sound and providing almost as much detail as much more analytical sounding CIEMs. Transparency is exceptional and coherence across the frequency spectrum is very good, falling between the NT-6 and NT-6 Pro. The VR has an overall performance that is impressive and competitive with the best. Volume performance: The Viento-R sensitivity is about average for CIEMs, and noise floors and low volume channel imbalances should be taken into account when selecting a source. At lower volumes (120 and below on the DX100 for example) the VR performs well with the bass switch up, as the bass boost overcomes some of the bass quantity issues many BA driver CIEMs exhibit. Performance is relatively consistent through what I consider loud volumes (over 200 on the iBasso DX100). Above that point, the clarity of the sound starts to diminish; but I can’t listen at that level for longer than several seconds. Sound Summary: The Hidition Viento-R epitomizes a clean, precise, and focused recreation of music with a natural sounding note and somewhat laid-back “reference” presentation. While not overly bright, the treble quantity is a bit north of neutral but still give a natural tonality to both male and female vocals. The vented design adds a high level of openness to the relatively large soundstage size. Detail and resolution aren’t quite as high as some of the other competitors, but the VR makes up for it with superior focus and imaging. Turning the bass switch to the up position adds warmth while the midrange switch makes the midrange a bit more mid-forward, although the changes aren’t huge. The Viento-R is a more easy to listen to sibling of the NT-6 that may just be what those that think the NT-6 is a bit too aggressive. 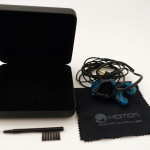 The VR competes with other top of the line custom in-ear monitors, and as everything in this range, there are slight gives and takes. Hey, Author, I’m having a dilemma between getting SE5U or Prelude, I want the most natural sounding CIEM that could sync well with most genre, would it be possible to recommend me which one would be more suitable? Do you have a preferred setting for the switches? I’m looking to get the Viento-R with the settings already tuned (no switches) as this drops the IEM’s price by about $500. On a related note, do you feel that the switches are worth the extra cost since the original price of $1100 no longer exists? Thanks! I do have a preference, but my preference might not match your preference. Are the switches worth the price? It depends on what you will be using it for. I could be perfectly happy with the switches in one position, plus the difference the switches make is small. Do you have a preferred sound signature that could help determine which switch position to get? Hey Joe. Thanks for the wonderful review. You mentioned that your cable came loose after a while. Do you know if you owned a defective model? Or is this the case with all Viento R’s? 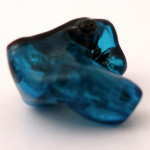 Do you not need to get these in ear monitors especially moulded to your ear? Yes, these are custom-fit in-ear monitors that require a mold of your ear to customize the shell of the earphone. This concept variable tuning is something I find very appealing. A single be-all-end-all IEM isn’t possible, because different genres require slightly different presentations to be truly appreciated. 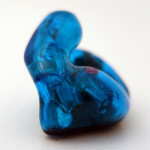 An all-rounder IEM will come with it’s own list of compromises. It is possible to have a few UIEMs to cover your needs (lower cost being the main reason). But when you’re spending upwards of 1000$, you’d never want to be left wanting. Lear and Hidition have the right idea and it adds a lot more value in the same price range. Well, there are a few UIEMs with variable tuning (tuning filters, driver switch). But I don’t know if any have implemented it well. PS: When you review all these CIEMs, do you pass along your feedback or have a discussion with the company regarding improvements? I mean, is it a “here’s our CIEM, look forward to your review on THL” type of deal? Oh. I meant to remove that ‘PS’. But I clicked on submit and only then realized. You may ignore it if you want. Sorry for the delayed response as I just got back from a trip with no internet access. Yes, both the LCM BD4.2 and Viento-R offer some well done tuning options among others. The LCM BD4.2 tuning is a significant change while the Viento-R changes are subtle, but still effective. 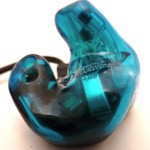 Either could be an excellent choice, but it depends on your preferred sound signature as they are both different. I usually ask questions of CIEM manufacturers and depending on how the company does business, I have provided feedback that has led to changes. What I mean by “how the company does business” is that sometimes once a product line is set, that product will not change, so a review regardless of the outcome is desired by the manufacturer while other times the manufacturer will make changes quickly. Reading the review, a huge experience in the audio segment transpire between your words… this is why I’m a deep follower & fan of TheHeadphoneList…. weldone guys! Hi William, thank you for your kind words and being a fan and follower! 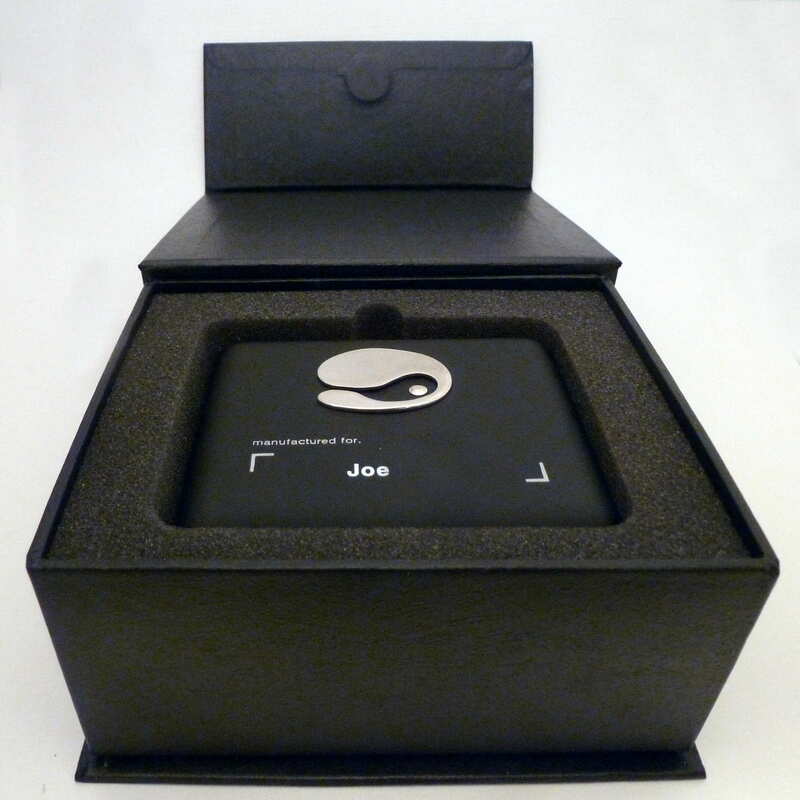 We will continue to try to offer reviews that are audio quality based to help the audiophile decide.